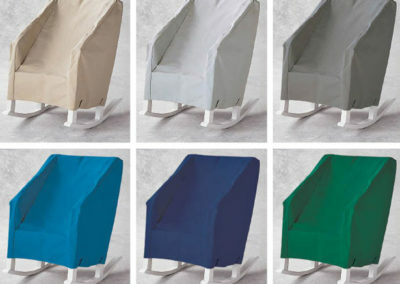 The standard material used for covers is marine-grade Sunbrella. Furniture covers are form fitting with some looseness for ease of placement and removal. 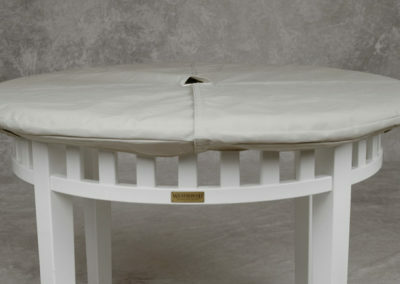 Where necessary, zippers are placed in the center of the rear panels to facilitate placement and removal. 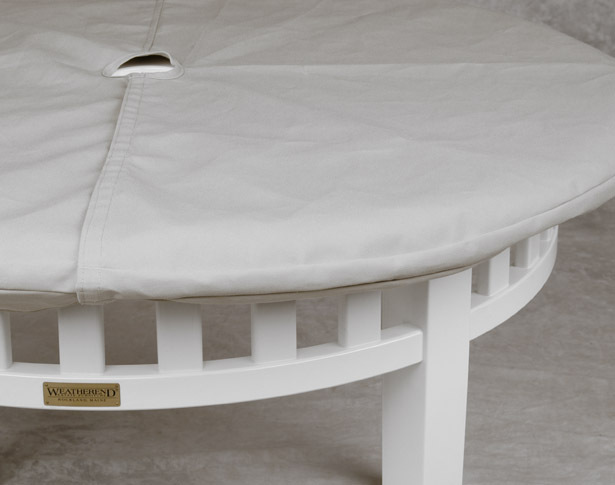 Zippers have an outer storm flap and an inner flap to shield furniture from abrasion. 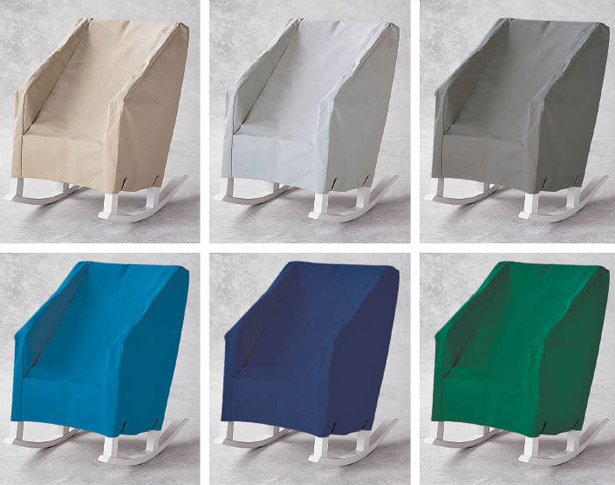 Covers for chairs, benches, settees and the like typically have elasticized Velcro fasteners to hold covers firmly in place. 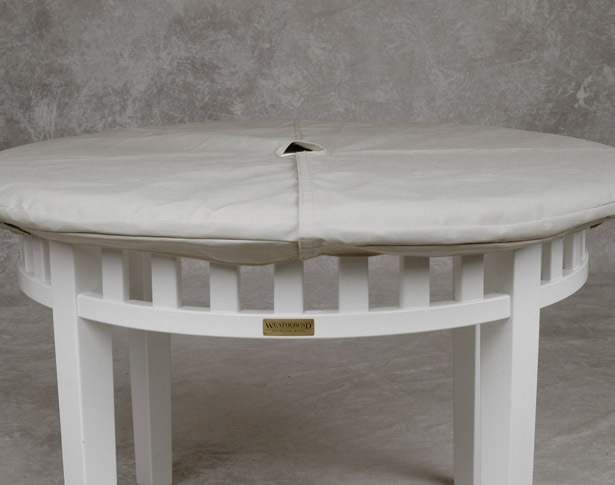 Table covers are secured under perimeter overhangs with individual flaps that part for placement and removal of covers. When in place, the overhang flaps are secured with Velcro. 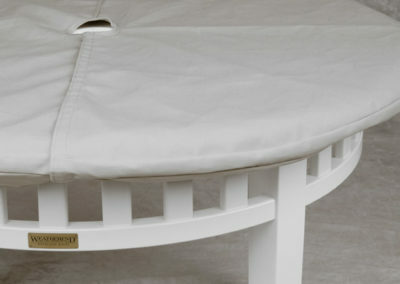 For tables with umbrella hole, a Velcro slit opens around the umbrella pole for placement and removal of the cover with the umbrella in place. Marine Grade Sunbrella fabric colors can be found at Sunbrella.com. Please contact us at 800.456.6483 or sales@weatherend.com for more information or a quotation.